Director Balakrishnan is on the lookout for an actor to suit the ‘Puratchi Thalaivar’ MGR and it is being reported that he has finalised two actors who have the features of the iconic actor. After the biopic on iconic Telugu actor and politician N.T.Rama Rao was announced by his son Nandamuri Balakrishna, its now turn for the Tamil cinema to witness a biopic on its veteran legendary actor MGR. Reports confirm that the biopic will be directed by A.Balakrishnan who shot to fame with the film ‘Kamaraj’. It is being said that the shooting of the film will star from early November and the official launch of the film will be attended by Chief Minister of Tamil Nadu Edappadi Palanisamy. Director Balakrishnan is on the lookout for an actor to suit the ‘Puratchi Thalaivar’ MGR and it is being reported that he has finalised two actors who have the features of the iconic actor. The biopic will be bankrolled by Ramana Communications who had also produced Balakrishnan’s previous film – Kamaraj. The makers have confirmed the biopic in their official statement. 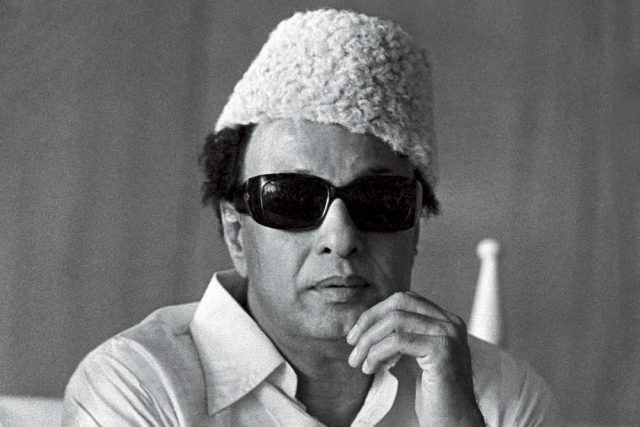 “Like Kamarajar, MGR is also a much-admired leader, and I have been meaning to make a film on his life. Interestingly, I had also begun Kamaraj during the centenary year of the leader (2003), and released it the following year,” director Balakrishnan was quoted as saying by TOI. “I’m planning to release the teaser of the film on MGR’s birthday on January 17, 2018. We hope to release it during April 2018,” Balakrishnan added further.